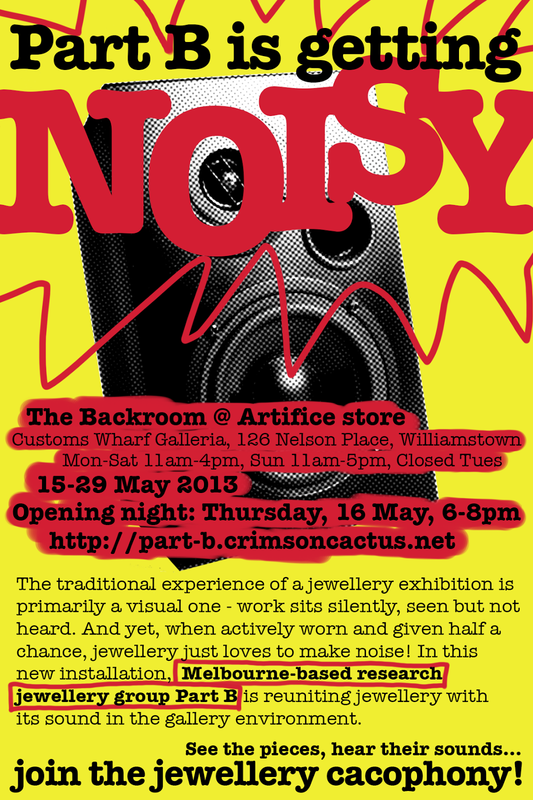 Melbourne-based research jewellery group Part B is getting Noisy in Williamstown! On now at The Backroom @ Artifice store, Customs Wharf Galleries, 126 Nelson Place, Williamstown. The exhibition runs until 29 May.